I have always loved reading biographies, autobiographies and memoirs. I've written more than 60 books and many of the books fall into one of these categories. Also when I read a book, I often write a short review on Goodreads. If you check this page and look through the covers with books and my reviews, you will see many of these books are biographies, autobiographies or memoirs. While I enjoy reading a good novel, the stories in biographies or memoirs are not created but based on reality. 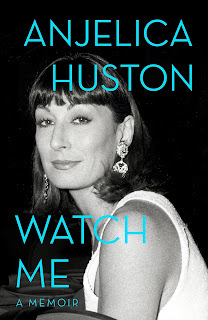 Recently I’ve been listening to Anjelica Huston read her book, Watch Me. She told about being in a car accident in the 70's where she wasn’t wearing a seat belt (not required then). As a part of this accident, she broke her nose in eight places. That little details stuck because I found it fascinating. "Several other series of meetings were held that year, and for the summer of 1949, the team prepared for a crusade in Los Angeles, the largest citywide meetings of its kind to date. At the end of August, before the campaign began, Billy attended the annual College Briefing Conference at Forest Home, becoming the youngest college president to speak at the conference." "One night after the conference’s evening session, Billy pondered a simple question: Can I really trust the Bible? He decided that if the answer was no, he could not with a clear conscience conduct the campaign in Los Angeles. At thirty years of age, it wasn’t too late to quit the ministry and return to his wife in North Carolina. He wrestled with the answer." I hope you find this story encouraging. It certainly helped me to know Mr. Graham's experience. 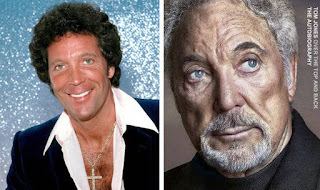 From reading Tom Jones autiobiography, Over the Top and Back, I learned at one point early in his career, he sold vacuum cleaners door to door. Or also in his book, he told an unforgettable story about Elvis Presley and how he carried a six shooter. I would never know these true stories if I did not read these types of books. 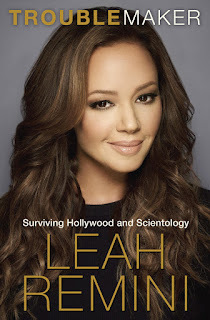 I enjoyed reading Troublemaker by actress Leah Remini about her involvement and escape from Scientolgy. Many people believe a well-known actress like Remini just skyrocketed to her success with shows like King of Queens. But this line in Chapter Seven was revealing and dispels this misconception. "All told, I've been on more than twenty-five eventually cancelled television shows in my career, and have appeared on even more pilots that never made it to air. While I would never complain, I certainly did feel anxiety. This is not an easy business to be in." (page 68 to 69) This quote affirmed to me again that there are no overnight successes. 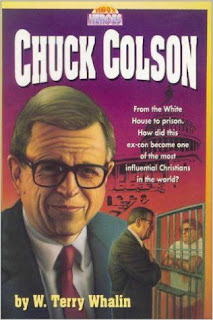 Years ago I wrote a youth biography about Chuck Colson, a much revered person in the Christian market because of his teaching and work in Prisons through Prison Fellowship. When I interviewed people around Chuck every person wanted to tell me about his practical jokes—something you would not expect on the surface. I built some of those stories into my book. To my knowledge, it is about the only record of this aspect of Chuck’s life and makes him real as well as a hero. I love reading these types of books. Do you read them or listen to them? What are you learning from these types of books? I look forward to your lessons and comments. Chiming in to say I, too, have always loved reading biographies and autobiographies and memoirs. (Awesome that you wrote the stories of people like Billy Graham and Chuck Colson. ) Have you read PENTIMENTO by Lillian Hellman? That one has stuck with me since my teens. Or, the autobiography of Langston Hughes? GREAT book. I have downloaded OVERDRIVE and used it in the past, but thanks for the reminder about it!